Just out: Another DNC leaks doc dump. 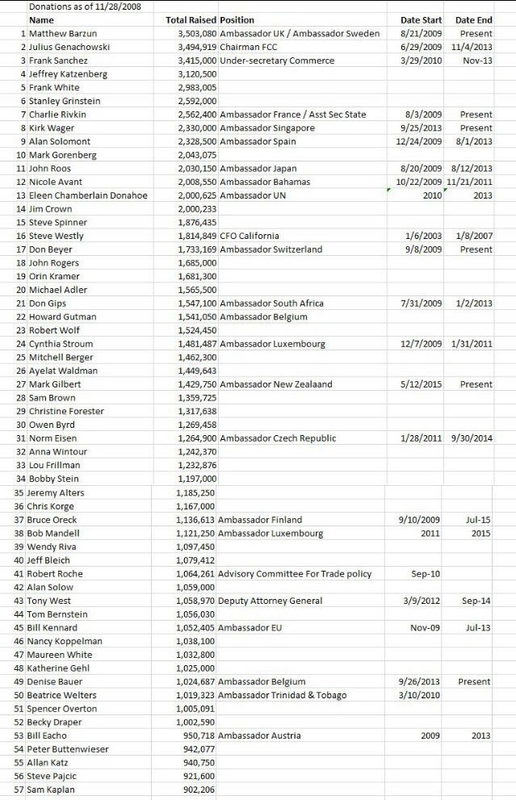 This is the hottest thing discovered so far in the docs, a ledger showing top donors and bundlers and the government positions they were rewarded with. 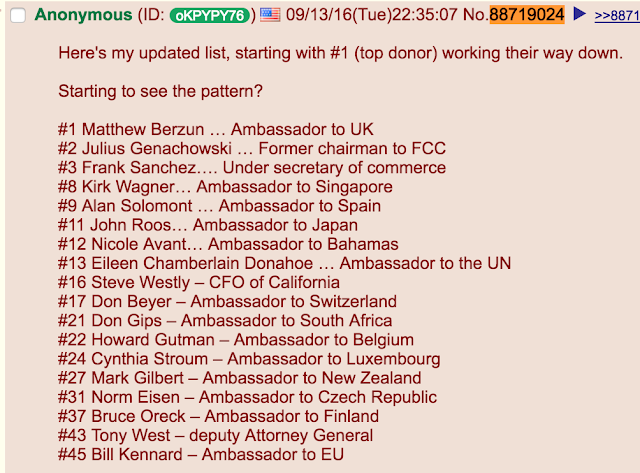 An ambassadorship can be yours.. I thought ambassadors needed to destabilize foreign governments and instigate coups and such. Is that stuff anyone can learn to do on the quick? They're just social figureheads. Junior shysters. The CIA does the heavy lifting..
Has this not been true for a long time with both parties? But now we know it's not just a rumor, right? 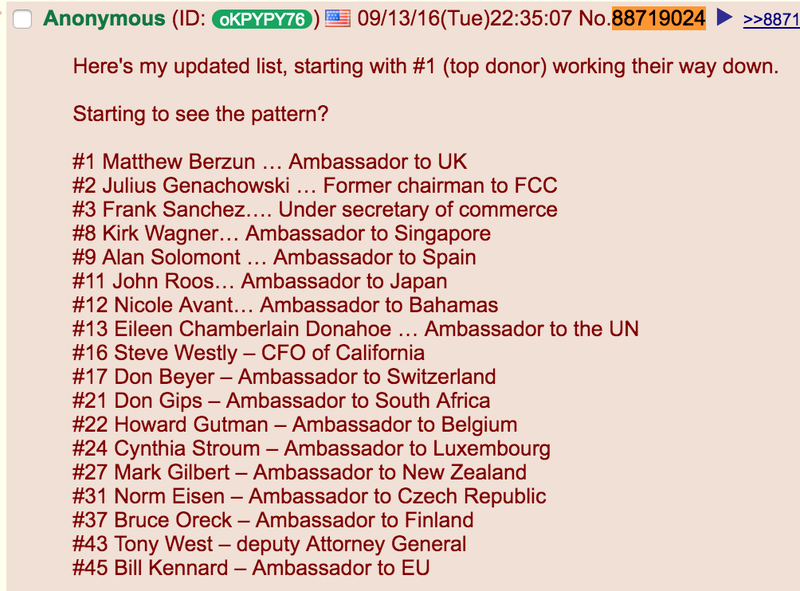 Funny that almost all of those "rewarded" with positions received ambassadorships, which fall under the purview of the Secretary of State, which was Hillary Clinton. What a great way for her to keep close with big DNC donors. 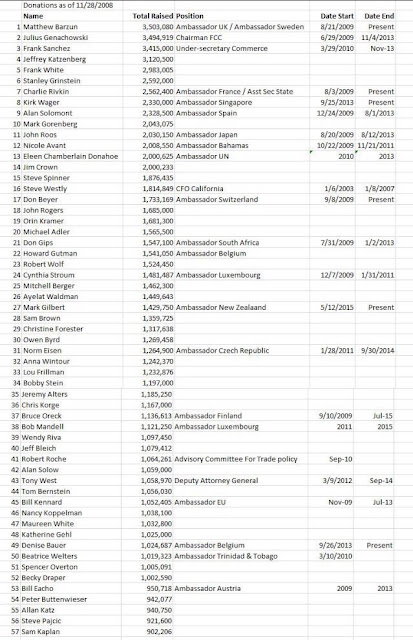 I wonder how many of those listed donated to Hillary's campaign this time around? Can't help but notice the usual suspects are, as usual, robustly over-represented..